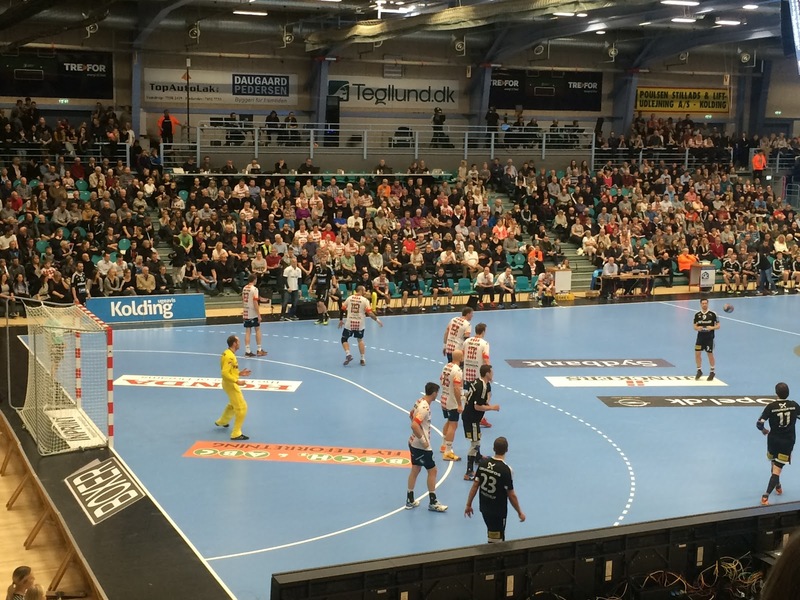 The Sprogskole offered the class free tickets to the opening game of the Hand ball season tonight. So four of us embraced our inner Dane and headed out to the new arena in Kolding. 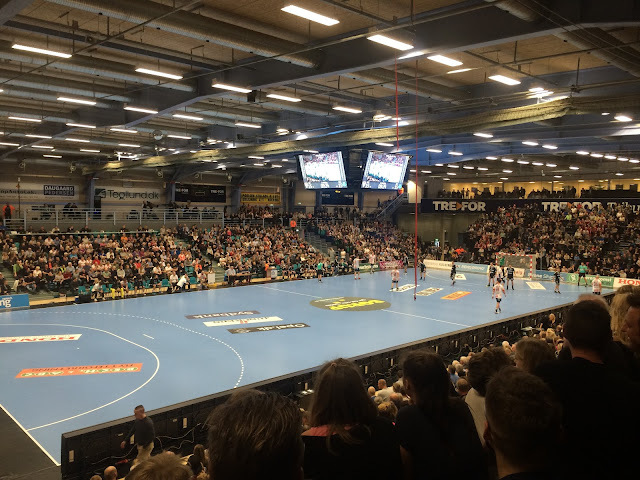 Handball (Håndbol) is big here Denmark and especially in Kolding as the local team KIV Kolding-Kobehaven won last years Danish championship. I understand the Danish teams also do well in European competitions so it is definitely a Danish game. To my surprise I really enjoyed it. The game has the cadence of basket ball ie fast, end to end turn overs and close scoring. It also includes all the American production vales of basket ball. Think non stop curated music (we will rock you) through out, young girls dancing in skimpy Lycra at every opportunity and mascots (KIVs is a dog) reving up the crowd. We had standing seats up the back but it was the full experience right down to the one xmas beer per half (Yule øl) I think I,ll go again.